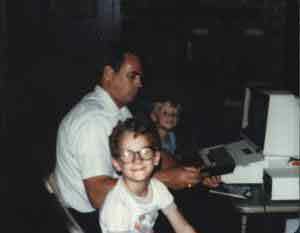 I’ve been working with computers since before I knew that I was writing programs. I was part of that generation that first experienced home computing and was fascinated by them slowly unlocking their potential over time and taking advantage of new potential that evolved. They have always been a solution to challenges for our generation and I embraced that from a young age. Since the late 90s I have worked in information security. I had the opportunity to work with some longtime security practitioners including a former locksmith turned encryption guru who was part of the team that introduced the Federal Reserve to x509, a former NASA security architect and some tremendous IT leaders. That was just the beginning. I blog about technology and information security. I code, tweak, play and invent new ways of engineering existing technology. I script. A lot. Life in the Geekdom is good and this site is focused on sharing that. Thanks for taking part.